Edith Louisa Cavell, was the eldest daughter of Anglican priest Frederick Cavell and his wife Louisa. She was born in the village of Swardeston near Norwich, England on December 4th, 1865. After working as a governess, including spending 1890 to 1895 with the wealthy François family of Brussels, she began training as a nurse at the London Hospital in September of 1896. Fluent in French and with over a decade of nursing experience, she arrived in Brussels in August of 1907 to take up her duties as the first directress of L’École Belge d’Infirmières Diplômées, a new nursing school established to train nurses on the English model. Edith’s high standards and dedication brought success to the school; by 1914 modern new premises were under construction. Then World War I intervened. Edith was vacationing with her widowed mother in Norwich when she received a telegram that told her war was imminent; she immediately returned to Brussels. The following day, August 4th, Germany marched into neutral Belgium. The Belgian, French, and British forces were unable to repel the Germans and by August 20th the area around Brussels was under German occupation. Henceforth, few injured soldiers were brought to the school, though Edith remained busy with teaching and administrative duties. The British army’s retreat into France following the Battle of Mons on August 24th left hundreds of British soldiers hiding in the countryside behind German lines. German posters advised enemy soldiers to give themselves up and warned that if they did not, they and anyone assisting them could be shot. Notwithstanding this threat, Belgian residents provided hiding places, food, disguises, forged identity papers, money and guides to help Allied soldiers and Belgian and French men of military age get through occupied Belgium to neutral Holland. Edith’s involvement in the rescue effort began in November of 1914 when she was asked to shelter two British soldiers. She soon became a key member of an ad hoc network of people devoted to helping as many soldiers as possible reach safety. The work was dangerous. As they consolidated their hold on Belgium, the Germans stepped up their efforts to locate enemy soldiers and those assisting them. Edith had to be quick thinking, ready to hide both soldiers and records of her activities. In January, when German soldiers arrived for an unannounced inspection, she directed a fully clothed soldier to climb into an empty bed, pulled the covers up to his neck and told all the Germans he was suffering from severe rheumatic fever. In April another soldier was awoken during the night, taken to a shed and hidden in a barrel of green apples when Edith heard the Germans were planning a raid. By spring of 1915 a German command post had been set up on the same road as the school and by May the school had been infiltrated by at least two spies posing as injured Allied soldiers. During another search, Edith’s records of the soldiers who had passed through the school were hidden in a toilet tank. Near the end of June Edith burned the documents she was holding when she heard the sound of German army boots. The following day, she contemplated abandoning her rescue efforts but refused to do so when she learned thirty more men found hiding near Cambrai needed assistance. On July 31st, 1915 the first two members of the network were apprehended. 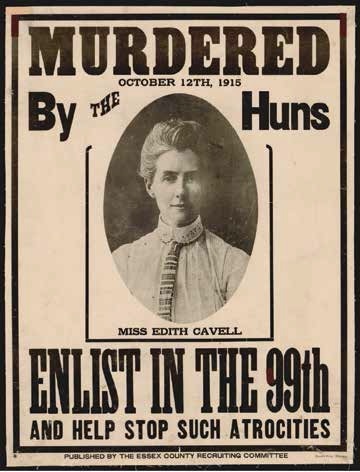 Edith was arrested on August 5th and questioned on three separate occasions thereafter. Her German interrogators told her that they had extensive information on the network and the best way to save her friends was to make a full confession. Edith limited her admissions to what she felt that the Germans had already learned from their sources and surveillance of the school. She agreed that a couple of hundred soldiers had passed through when the figure was probably more like fifteen hundred. By early September, 22 men and 13 women who had participated in the network had been imprisoned and were tried shortly thereafter by a German military tribunal. The lawyers representing them had to be approved by the Germans, were not allowed to meet with them prior to or during the trial, and could only make submissions on their behalf after they had been questioned by the German prosecutors. While Edith insisted her concern was simply to help the soldiers reach safety in Holland, the Germans maintained that, since the soldiers could return to fight against the Germans, she was “conducting soldiers to the enemy,” an act which constituted treason under the German Military Code. that no further women were to be executed without his consent. The other three prisoners who were sentenced to execution had their sentences commuted to prison terms. Ghost and to fur traders as La Montagne de la Grande Traverse – in her honour. 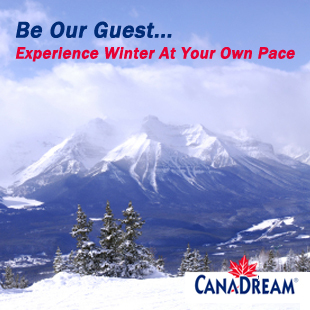 A memorial plaque at the foot of Mount Edith Cavell tells her story. The Edith Cavell Memorial Tower was added to Jasper’s Anglican Church in 1932. 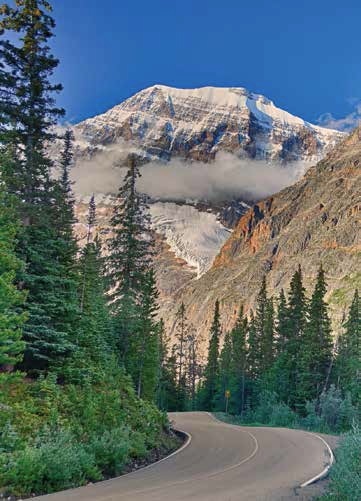 A 14 km road constructed in 1927 provides ready access to the north face of Mount Edith Cavell. Visitors can follow the 1.6 km Path of the Glacier Trail or enjoy the flowers and scenery from the 6 to 7 km Cavell Meadows Trail.